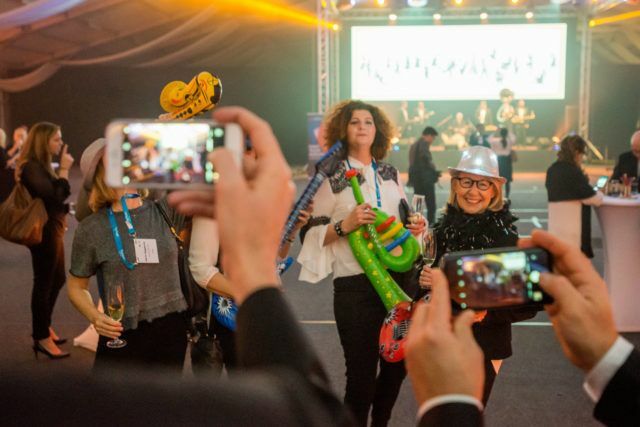 Home SREČANJA - FROM THE EDITOR Can we escape change in the meetings industry? The main message of the 56th ICCA General Assembly Congress in Prague was that the meetings industry is undergoing some radical changes. This fact was probably best captured by Stafan Hytross, an excellent speaker, who in his presentation summarized three days of intense debate on millennials, digitization, the exponential growth of knowledge and the speed of change in every field. According to Hytross, the crucial problem is the risk of ignorance, a situation that he illustrated using the legendary Kodak case. A day prior to Hytross’s speech, Magdalenca Dziewguc, graduated from the Harvard Business School and employed at Google, touched upon the same topic. Her approach explained the same challenge in a very practical way and to her question as to whether the meetings industry had in the last five years gone through radical changes, only a few attendees answered positively. This was maybe a consequence of the attendee structure, as barely any of them were a millennial, or maybe the reason was the late hour for the discussion. Meeting design, digitization, process automatization, collaborative thinking, the Internet of Things, new presentation formats, hackathons, the end of the traditional destination marketing and many other similar topics dominated the themes at this year’s congress. Apparently, a new vision of the industry is needed that will connect and unite individuals and create synergies. It seems that ICCA is on a good path with this, as in its annual congress it presented an inspiring and ambitious programme that opened up aspects of the industry’s humanization. In this way it formed a collective consciousness aiming to bring about change to the industry. In the specific context of our industry, I found the most interesting topic to be that of the Digital nomads, something that I discussed with one of my colleagues there. The generation of creative individuals decides on their direction and career on the grounds of portals such as www.nomadlist.com. Their habits and mobility are connected to the most creative environment in the world, one that is very much similar with that of events. You’d have more chance of meeting them in Ziferblat than in the Ljubljana Exhibition and Convention Centre, and rather than getting together in tiresome conferences they meet with the help of applications like braindates. Their measurement unit of attraction is the ultra high speed of the internet and their meetings have become mobile and much more fun. Maybe also for this reason the new destination map of the world will have a close correlation with cities that are digital-nomad friendly. This is the reason why this issue is dedicating a great deal of attention to creativity at events. We’ve received many very interesting answers from individuals who have personally experienced this at real events. We are also revealing to you the most important influencers of New Europe, the stars who through hard work have reached a trustworthy status and who create trends. As with every year, we also present to you the best special venues, among which some surprising locations stand out with their experiential attractiveness. We assure you that we will continue to closely follow the congress revolution and we will also help to co-create it. And, more than anything else, we will continue to publish the most relevant information backed up by verified facts. Most of the focus of our thinking will still be you – the event planners.